Our bird is on a wet-on-wet watercolor painting. 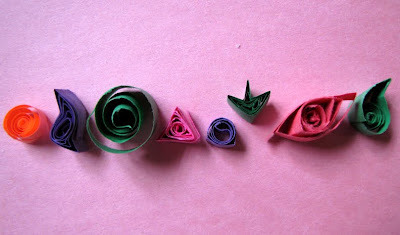 Quite a while ago we made a beautiful paper art project. This time we're doing details. For this project you'll need paints if you like, any kind of paper (for quilling, we used actual quilling paper, patterned scrapbooking, construction, and regular printer varieties of paper), glue, scissors, and a quilling tool- you can use an actual quill, if you like, or even a pencil or wooden skewer, but I had the idea today of using an extra large embroidery needle as a tool -- it worked beautifully for little hands. 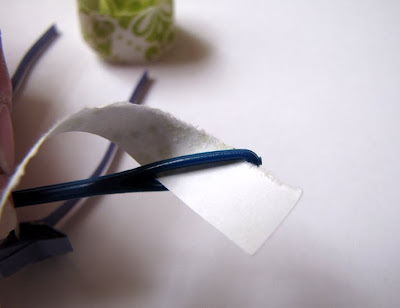 For making the paper strips, first you need to find out which way the paper fibers lie... tear a strip off the paper (around an inch thick will be a good indication). If the tearing line curves, then try tearing it the other way. Following the way of the fibers will give you a straighter line. 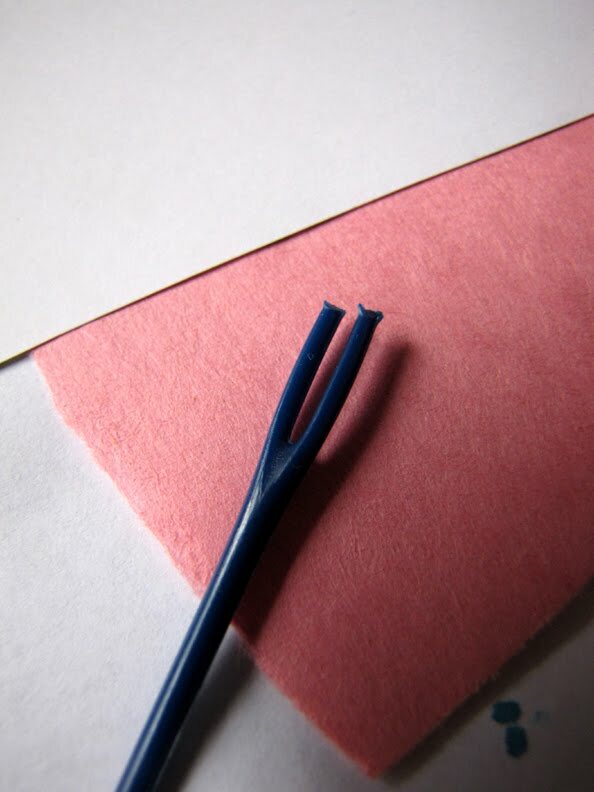 Regardless if you choose to tear or cut the strips, it is helpful to go with the fibers, as the paper will coil better if you stay with its natural form (bend). Tuck (or have the child tuck) the end of the paper into the needle, if you're using one. Then simply twist the paper onto the end of the needle. 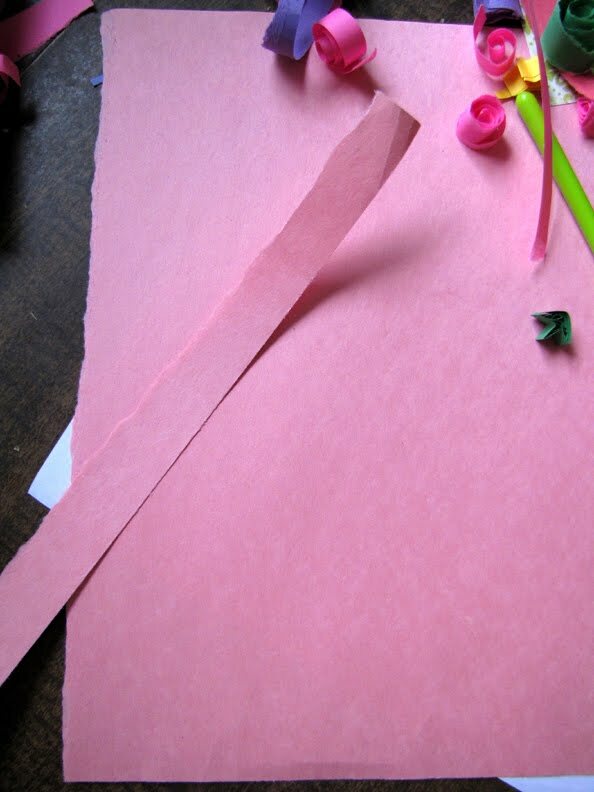 It's a really quick way to coil the paper. 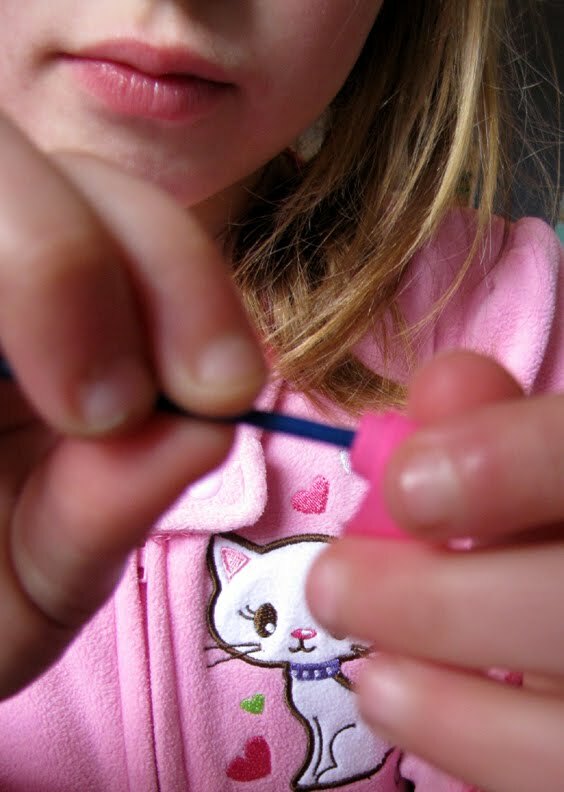 When you get to the end, have the child let go of the coil (to loosen it), then with small movements, sort of twist the needle back and forth, rocking the end of the paper strip out of the eye of the needle. and you have a permanent quilling tool. If it seems sharp to you, then just sand it down a bit. This also allows for a broader strip of paper. After twirling the paper, the strip is all ready for your designs and bends. Since we are just beginning our love affair with quilling, we found the book Twirled Paper by Jacueline Lee to be an outstanding resource of ideas and creativity. The penguin and flamingo that we made were our version of some of the animals in her book. This goes to Friday's Nature Table at The Magic Onions for February 19. Those are very cute. 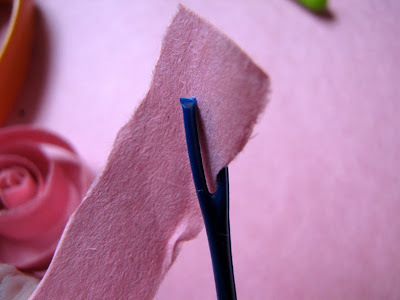 You can buy quilling tools and they are cheap and are probably a bit easier to use. Mine has a little clip to hold the paper and it releases to release the paper. It has a lever to push open the end of the needle, or something? Is that the way it works? Fun! Me made robot borax crystals this week, and G was using a pencil to make quilled like shapes - they were so cool ... they totally crystallized. We should try paper - he seems to really like it. It does look fun! I love the penguin - I'll have to see if I can find the book, or similar. I think I might have to try this! Your creations look great! That's so cool! 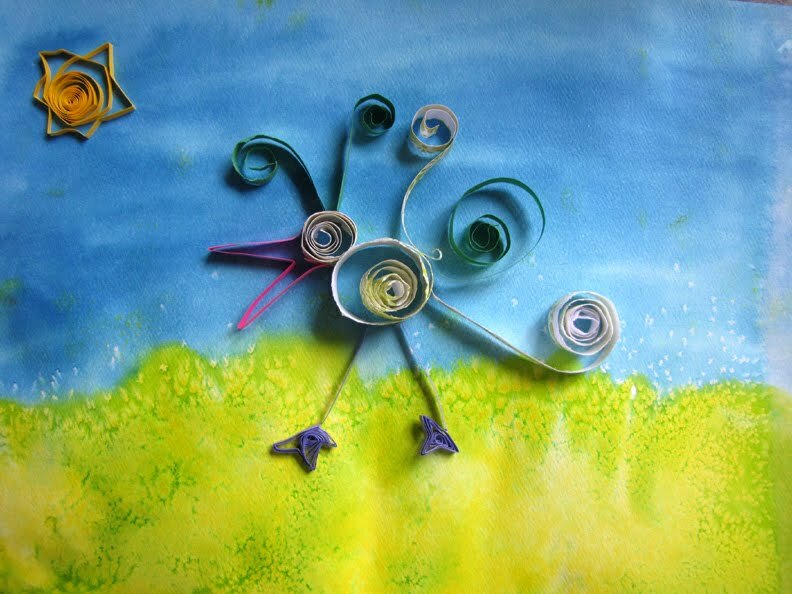 And because it's such an interconnected world, only just the other day my boy was reading something and he randomly called out, "Mum, what's quilling?" I said, "I don't know—wait, I'll find out!" And now here you are, writing about it. I love the way this happens—we are all tied together with invisible ribbon, I know it! Cute... Hood #3 is doing just this as she makes hearts for her valentines post!!! i hadn't heard of this until now...i think i know someone who might really love this!! This looks great! We did this ages ago but not as creatively! Now I am reminded about about twirling. Thank you, Stephanie! 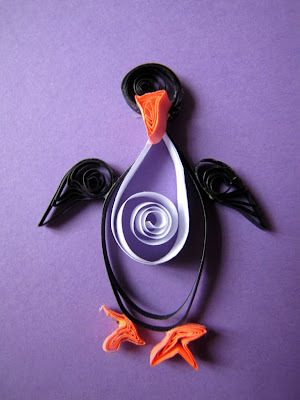 I have always wondered how quilling works! I've never even heard of this. Very cool! I've been admiring some of the quilled creations at our local craft fairs and wondering if my 4.5 year old would enjoy this. I think she would! I've always just rolled the pieces by hand--is having a quilling tool really much more efficient? I shared this post on twitter (@candaceapril) and on facebook (Naturally Educational). Outstanding! You do the coolest things! Beautiful, my daughter loves penguins and would like this. 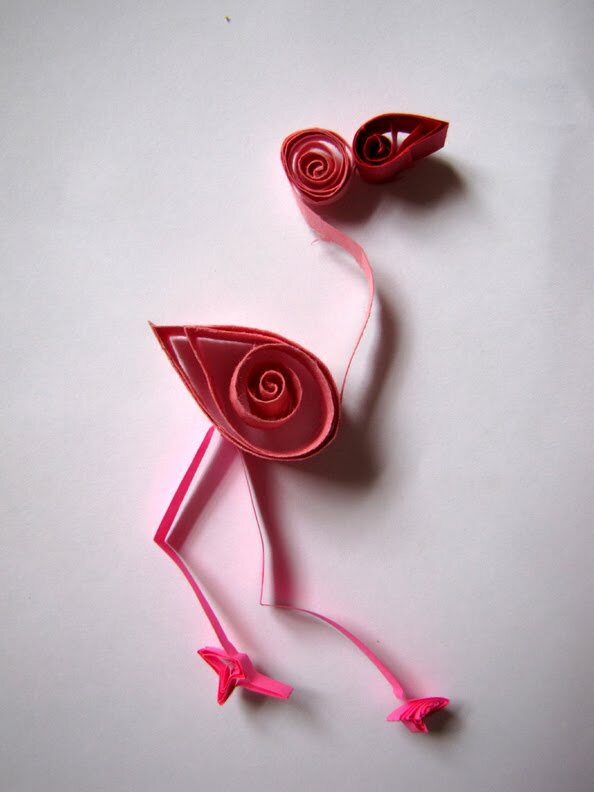 I tried quilling the other day and it was a flop... Thank you for this great tutorial!